Visitors to Speyside – the world’s best known whisky-producing region - are never far from the sight of the distinctive pagoda. It’s a design which has become an iconic symbol for Scotch whisky the world over and one which has its roots firmly set in the Speyside region – home to some of the biggest names in distilling. The ornate pagoda roofs which adorn many of the area’s 50-plus distilleries will be used as a backdrop for thousands of photographs, videos and selfies during the Spirit of Speyside Whisky Festival this spring, during which visitors will learn just how pivotal this piece of architecture has been to shaping the whisky industry. As ornate as they are, pagoda roofs weren’t created solely for decoration. They may look Oriental, but they were designed for a very practical reason - as a chimney, to improve the flow of smoke out of distillery buildings from the fires which dried the malt below. They are, essentially, a key ingredient in Scotland’s water of life. Renowned distillery architect Charles Chree Doig came up with the classic design. On moving to the county capital of Elgin in 1882 he became assistant to a land surveyor, going on to become a partner in the business and moving into architecture and engineering. When the owners of Dailuaine Distillery commissioned Doig to carry out alterations to their maltings, he converted the existing ventilator into the distinctive pagoda shaped roof that is so familiar. 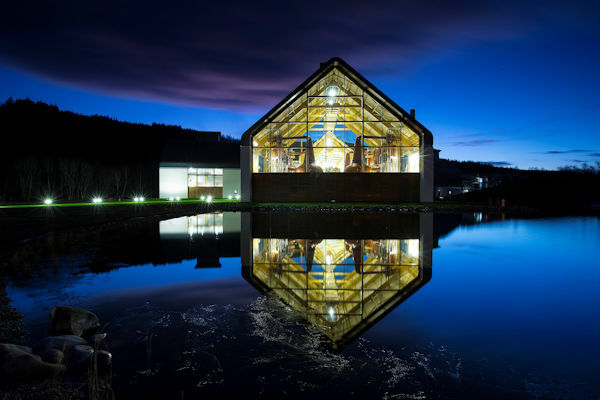 Ann Miller of Speyside Whisky Festival says the pagoda design charms and intrigues the many thousands of visitors that descend on the area for the annual celebration, which takes place this year from April 28 to May 2. Ann Miller adds, “Charles Doig died in 1918 but his design lives on, not only at distillery buildings in Speyside and elsewhere in Scotland but in branding and marketing materials promoting this world-famous export, being an emblem of Scotland’s Malt Whisky Trail. Many options were considered and discounted before the final pagoda design was reached, and its strikingly attractive appearance, combined with functionality, ensured the pagoda became an essential feature during the distillery building boom of the late 19th century. Strathisla, boasts twin pagodas and its setting and style makes it one of the most photographed – and arguably the most picturesque – of all Scotland’s distilleries. Dating back to 1786, the Keith distillery buildings have changed little, from the old cobbled courtyard to the water wheel and of course the distinctive double pagodas. In the 21st century whisky industry, heritage mixes with high tech and two new Speyside distilleries have been able to take centuries of accumulated distilling knowledge and expertise and merge it with cutting-edge design and green technology to produce quality spirit. Opened in 2009, Roseisle was the first malt distillery of scale to be opened in Scotland in 30 years. The striking distillery, owned by Diageo, uses cutting-edge technology to significantly minimise our carbon footprint and impact on the environment. Roseisle was designed to build on best practice from Diageo’s other 28 malt and grain distilleries to improve efficiency and performance, building on centuries of distilling experience and knowledge. Dalmunach opened in summer 2015 on the site of the mothballed Imperial Distillery at Carron and is an excellent example of securing the future of the industry by respecting its heritage and utilizing energy saving innovations. Remnants from the old distillery situated on the site from 1897-2012, were built into the new one with an architecturally impressive design, inspired by the shape of a sheaf of barley reflecting the core ingredient of single malt whisky. It houses eight unique copper pot stills, with a tulip shape used for the wash stills and an onion shape used for the spirit stills, replicating those from the original distillery. In a departure from tradition, the stills have been positioned in a circular design that provides a unique aesthetic for the future. Distilleries of all shapes and sizes, old and new, will be the focus of whisky lovers from all over the world during the annual Spirit of Speyside Whisky Festival. It has become one of the leading events of its kind over the past 17 years, attracting thousands of visitors from all over the world to enjoy more than 400 events, from tastings to ceilidhs, food pairings to comedy. 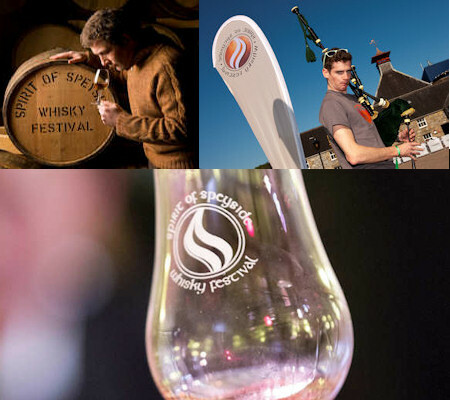 The 2016 Spirit of Speyside Whisky Festival - and its traditional musical arm the Spirit of Speyside Sessions - takes place from April 28 to May 2.